Do you ever find yourself alone with no one to spend time with? Do you wish that you had more friends to share your life with? Do you notice that some people seem to have friends from all walks of life, yet you just barely have associates in your life? Do you feel as though your life feels empty because you have very few or no friends at all? If you’ve answered yes to any one of these questions, don’t worry. It is perfectly normal to want friendships with others. Relationships in general provide nourishment for the soul and provide a feeling of fulfillment and joy in all human beings. True friends provide fulfillment in a way that relationships with others including lovers, spouses, partners, associates, colleagues, parents and family members cannot. Perhaps it’s the fact that true friendships are formed as result of 2 people having a genuine respect and admiration for one another as opposed to being related. Or maybe it’s the fact that while some friendships do end in bitter circumstances, most friendships last longer than romantic relationships. And truth be told, these feelings are not only the norm but they can eventually manifest into something much worse like depression or rage. And it’s not hard to understand why. Companionship and friendship are natural paths of the human. In fact, this camaradarie even exists in the animal kingdom so if you have little or no friends in your life, it’s not uncommon to feel as though there is a huge void. And there is. If you do not have lasting friendship and people to turn to in life, there is something missing and it’s enough to drive anyone into a state of complete lonliess. 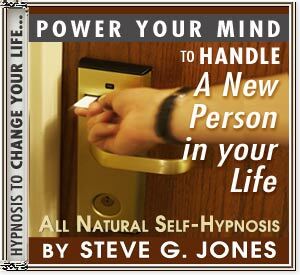 My name is Dr. Steve G. Jones, Ed.D., clinical hypnotherapist and for the past two and a half decades, I have been helping people improve their lives through hypnosis. You see, our reality is nothing more than our perception of reality. In other words, our subconscious mind is creating our reality every day. So if there is an area of your life that you feel needs to be changed or improved, you simply need to make a change in your mind on a subconscious level. And while this is sometimes easier said than done, it is something that I have been quite successful doing for most of my life. It has taken me all over the world to people from all walks of life. It has given me the desire and will to create the largest collection of hypnosis recordings in the world. And in this case, it has given me the laser focus that I needed to create a program that anyone could use to make more friends and build solid, long lasting friendships. That’s Why I Am Extremely Excited To Introduce You To The Friendship Success Program By Dr. Steve G. Jones M.Ed. Don’t you think you owe it to yourself to experience a life where you can enjoy the friendship and love of others? If so, don’t wait any longer. Because now you can own the incredible Friendship Success Program for just $47 $27. That’s right, instead of flying to my Savannah office and paying $2,500 for a private session like most people did for many years; you can enjoy the same life-changing results for less than the price of your cell phone bill. Click the Button to Order For Just $47.00 $27!